We at Ambassador Solutions are excited to share our new community of InfoSec executives–CISOnation. We’re working together to keep our organizations’ information safe and secure, while leveraging our InfoSec assets to formulate a Unique Security Selling Proposition™! The Equifax “Mother Of All Breaches” (MOAB) shows us the risk of not being secure or prepared is greater than ever. That’s where the CISOnation comes in. 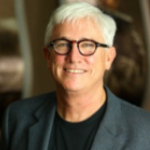 The CISOnation is all about the people, products and services required to address the No. 1 threat to our nation’s future—and therefore every organization within it. We connect companies with InfoSec executives, including corporate boards who increasingly need an outside CISO perspective on the business. We are all about the people who stand vigilantly as watchmen on the cyber walls that must protect us. 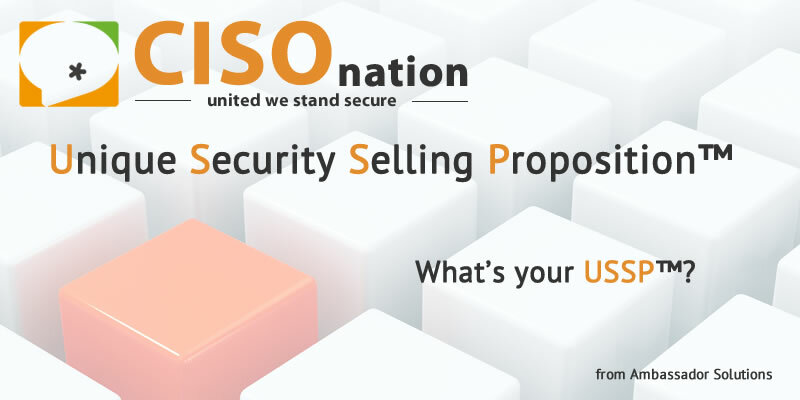 An important part of our mission is helping organizations develop their Unique Security Selling Proposition™ (USSP™). Having a USSP™ that leverages InfoSec assets will help forward thinking firms separate themselves from their competition. It’s time to play offense with cyber security. We Know CISOs: IT’s All About the People! Few jobs are more challenging than being a CISO in America today. The hours can be brutal and the pressure relentless. Because the bad guys never sleep, the CISO sleeps fitfully through nights that are all too short. Rising before the sun, he/she pours a cup of coffee and begins pouring over the reports that reveal just how bad the bad guys were during the night…. How do we know? Because we know CISOs. We’re already connected to nearly 1,000 CISO candidates across the country and will triple that number by year-end. We not only help organizations find the right CISO for them, but then we serve those CISOs with downstream products and services that help them excel in their positions. We’re here to serve the CISOs of America and those who cannot survive without them. We have the tools and the people to help CISOs stay on top of the latest best practices. If you’re a CISO or aspiring to be, we invite you to join us at CISOnation. Contact us today to learn how we can help you find the right company and create your own USSP™. Subscribe to our newsletter to receive the latest CISO news, then reach out to our founder, Brad Lindemann, via LinkedIn so you can learn more about CISOnation where … United We Stand Secure!